Xiaomi power bank price: If we talk about the battery then it is the heart of a mobile,laptop or tab or any other gadget. without it we can’t even use it or work with it. Someone who wants to buy a new technology then he first checkout the number of battery cells and then compares it with the other technos with the battery life then the rest specifications come into mind. Xiaomi power bank 10400mAh and 16000 mAh are now in the market at price of Rs. 945 and Rs.1300 respectively. So Xiaomi power bank price will fall into the users budget. Also no technology or gadget promises battery backup more than one day. So if we want to leave for a tour that is if its just for 2 days only then also we need to carry the additional charger to charge the gadget and moreover the plugin availability is also a irritating job to search for.Â Xiaomi power bank price is around Rs 945 only. By looking into these matters xiaomi has introduced its power banks which can hold the power for longer periods and whenever we need a charger for our gadget then xiaomi is here to charge our phone. the company has introduced its 2-3models differentiating in terms of the battery cells and the price range accordingly. this power bank is first charged by our normal chargers and then ready to make our phone usable upto 3-4 days without charging it from the actual device charger. the phone is charged using the data cable of our charger and which the same is applied to our laptops and tablets for charging or media transferring. once the data cable is plugged into the power bank then it indicated whenevr your mobile phone has fully charged and it Â also indicated the battery left out in our power bank. isn’t it a very useful device for the younger generation. This allows us to be socially alert even 4-5 days without charging it from the actual charger. So techiepocket suggests to buy one and keep it for travelling. 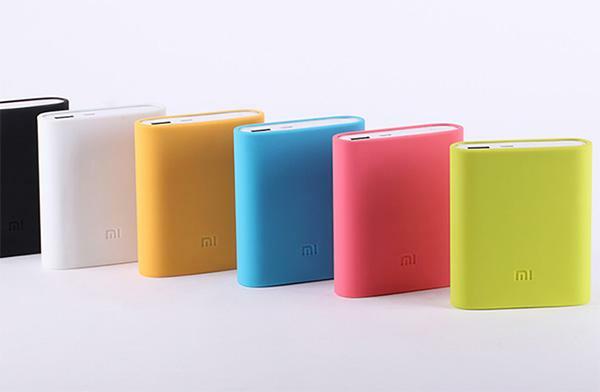 10400Â mAhÂ Mi Power Bank which is made up of vibrant aluminum casing surrounding dual battery cell technology. and 5200mAh which has the same structure as of 10400mAh. and 5.5 times full charge for androind and other handsets. This power bank is Designed by Texas Instruments and the cells used in the power bank are or LG and SAMSUNG company. This USB smart-control Â are strengthened by nine layers of circuit chipset protection Â which is built with safety, protection and efficiency. The water and corrosion-resistant surface is rigidly designed for everyday use. Heat-sensitive and temperature control makes this power bank safe to use. the temperature ranges fromÂ 70 degrees, 96 hours toÂ Low temperature upto -40 degrees, 96 hours. protects the motherboard or our phone and battery if shot circuit occurs. The power button can be used to reset the Power Bank in unstable environments. An OVP circuit technology prevents voltage surges from damaging the Power Bank. Also Detects when the charger is inserted incorrect and this will automatically stop charging. Automatically shuts off when current exceeds the maximum limit. Mi Power Bank automatically adjusts its output level based on the connected device. Easily charge smartphones and tablets from Apple, Samsung, HTC and BlackBerry etc and for Â a variety of digital cameras and gaming devices. This Japanese technology is used to prevent overcharging from damaging the Li-ion batteries. chipsets are not only safer but also improve the charging conversion rate for each device up toÂ 93%conversion rate. it has 50kg of pressure resistance. Xiaomi power bank 10400mAh and 16000 mAh are now in the market at price of Rs. 945 and Rs.1300 respectively in India.Â Xiaomi power bank 16000 mAh is around CNY 129 in China and was launched on November 11.